I like big buns and I cannot lie. I would choose a warm, gooey, buttery cinnamon bun over chocolate cake any day. Since they are always the star of the brunch table, they better be good. This may have been my favorite experiment yet. What would I rather do on a Monday night than play with pounds of butter, sweet brown sugar, and huge blocks of cream cheese? Um, nothing. Even hours after these magical buns came out of the oven, my entire house smelled like that heavenly corner of the food court near Cinnabon. The aroma is so distinct, sweet, buttery — just the smell of Cinnabon can catch me halfway across the mall. than the shopping mall favorite. funny looking, but oh-so good! 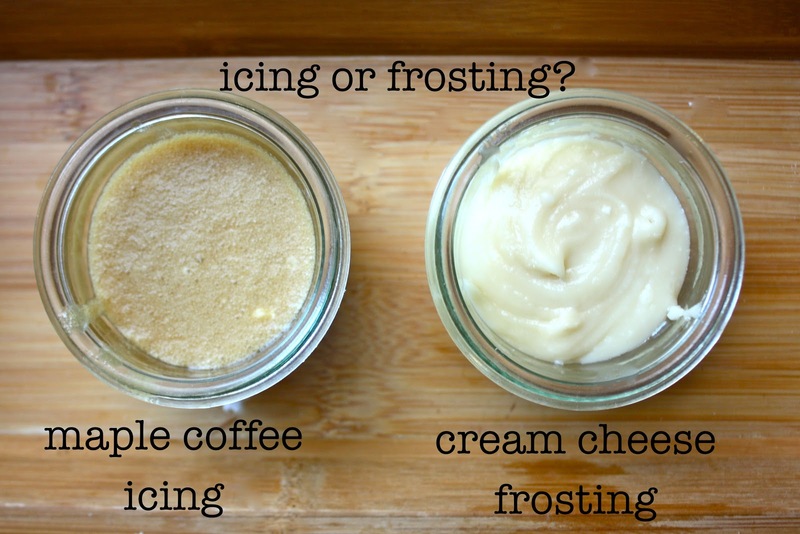 with rich, tangy, cream cheese icing. personally, I preferred Ree’s recipe for maple-glazed cinnamon buns. I brought both varieties to my English class this morning to try to narrow down the competition. Although I did a great job distracting my class from The Great Gatsby with my icing-slathered buns, I did not do a great job narrowing down the competition. The “clones” were all chosen first. However, everyone who tasted the maple-coffee variety raved about it. It was a tough call. If you are looking for a sinful, sticky, highly addictive treat that should be eaten with a fork — make Ree’s. oven to 400 degrees F (200 degrees C). A five star recipe. These were deemed by my family the best thing I have ever baked. I had heard so many things about the legendary morning buns from Tartine Bakery in San Francisco — and was curious to taste these illustrious cinnamon buns for myself. peel apart in delicate, fluffy layers. I baked these for my dad’s Father’s Day Brunch, and my entire family raved about them. My dad’s old favorite were my cinnamon sugar croissants, and these are basically the same thing rolled to a new, crazy, cinnamon bun level. the rolls for about 20 min. Pop the rolls out of the pan when you take them out of the oven, or else they will stick to the pan when they cool. You all know about my slightly insane love for cinnamon. 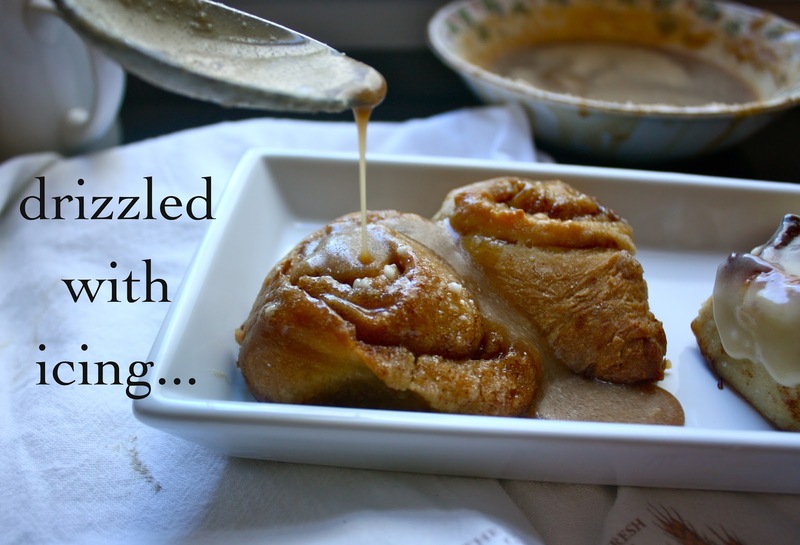 Nothing beats a warm, buttery cinnamon bun for breakfast — but since the recipe usually calls for a yeasted dough, they take overnight planning to make, which a little too much hassle for all of us busy people with a weekday cinnamon craving! These muffins are big, buttery, and full of fragrant, ground cinnamon, the perfect substitute for traditional yeasted buns. When they take only a half an hour from start to finish, why not treat your family to a cinnamon-filled weekday breakfast sometimes? Oh, and nothing beats how delicious your kitchen will smell with these heavenly muffins baking in the oven. In a medium bowl, mix together the brown sugar, baking soda, salt, vanilla and egg. Add the buttermilk, then the flour. Stir until thoroughly combined. Turn the dough out onto a lightly floured surface and knead for two minutes. Roll the dough into a 12-inch by 24-inch rectangle. Spread with butter, then sprinkle with the cinnamon sugar mixture. Roll the dough into a log beginning with the wide side. Stretch the log slightly as you roll to keep it tightly rolled.